Ballroom Dance Chicago is the top-rated dance studio for wedding dance preparation, first dance lessons and social dance lessons in Chicago. Why Take Dance Lessons With Us? We're a team of full-time wedding pros. We're expert dance instructors - we teach a lot. We're happy, inspired individuals - we meditate a lot. We're a cohesive team - we talk a lot. We have helped thousands of couples prepare for their weddings over the past 10 years. We have well over 100 five star reviews on Yelp. 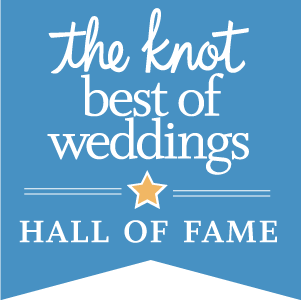 We have over 100 five star reviews on the Knot. but what are other people saying? "Awesome place. Super friendly and relaxed environment. Husband hates to dance, but he admitted to really liking our sessions together and had fun. This was easily the best part of planning for our wedding, and it helped us relax and spend some time together with A LOT of laughs." - Kelly R.
"Ballroom Dance did an amazing job for our first wedding dance! My wife and I came in not even able to do the chicken dance and left completely confident we would nail our first dance." - Ryan F.
"Ballroom Dance Chicago (BDC) was the icing on our wedding cake dance wise. I can't recommend this place enough." - Andrew D.
Welcome to Ballroom Dance Chicago! This page outlines what to expect on your first visit to our Lakeview and West Loop studio, including information on what to wear, where to go, and what to expect. Us staff at Ballroom Dance Chicago have chosen dance, and specifically partner dance, as our main focus in life, but that doesn't mean that's all we are. We make an effort to share our favorite things with our clients (that is if our clients are interested) and connect them to the deeper meaning(s) of learning to dance with a partner. Check out our blog for all of our musings.